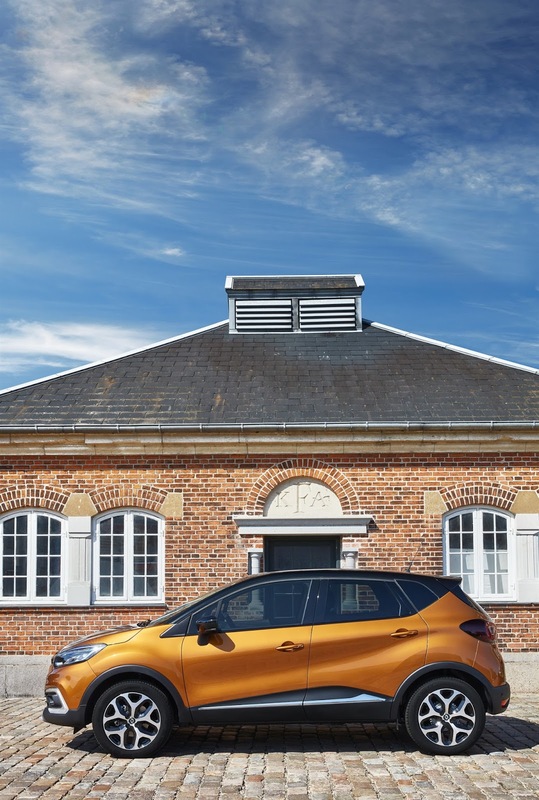 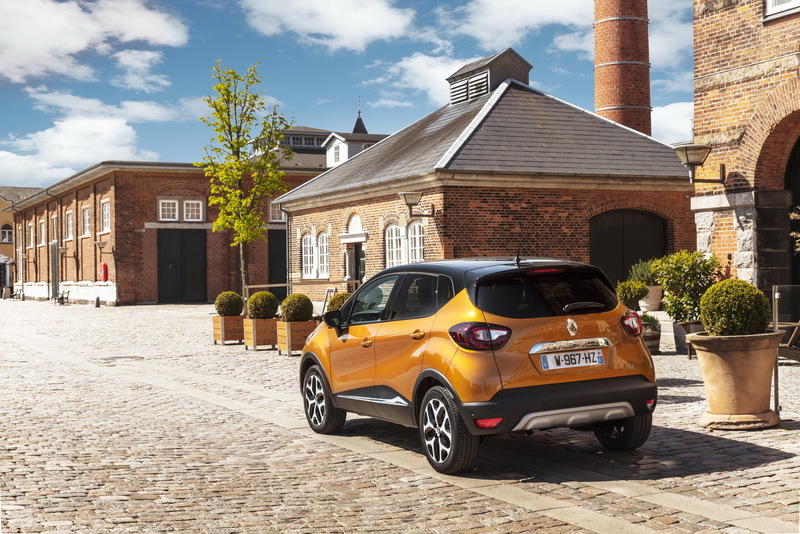 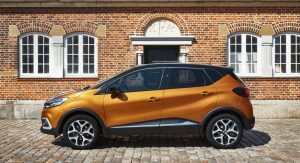 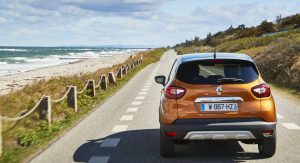 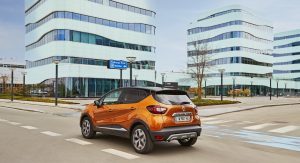 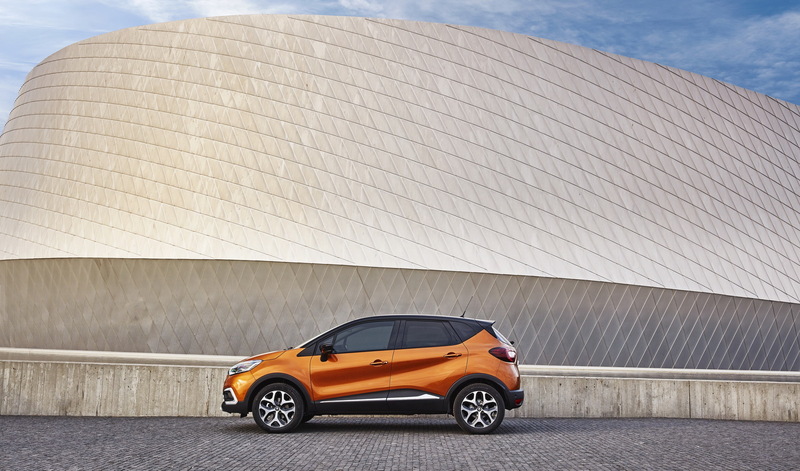 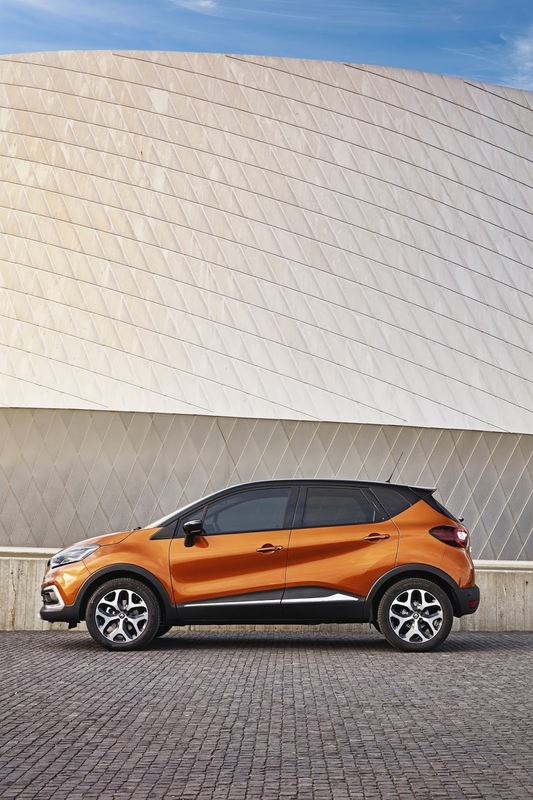 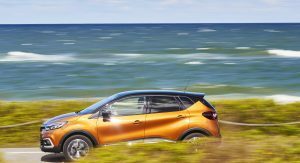 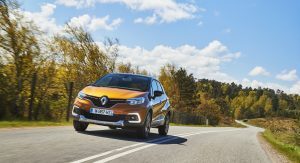 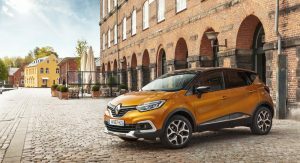 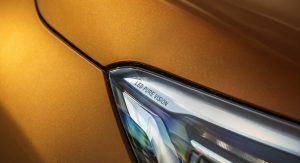 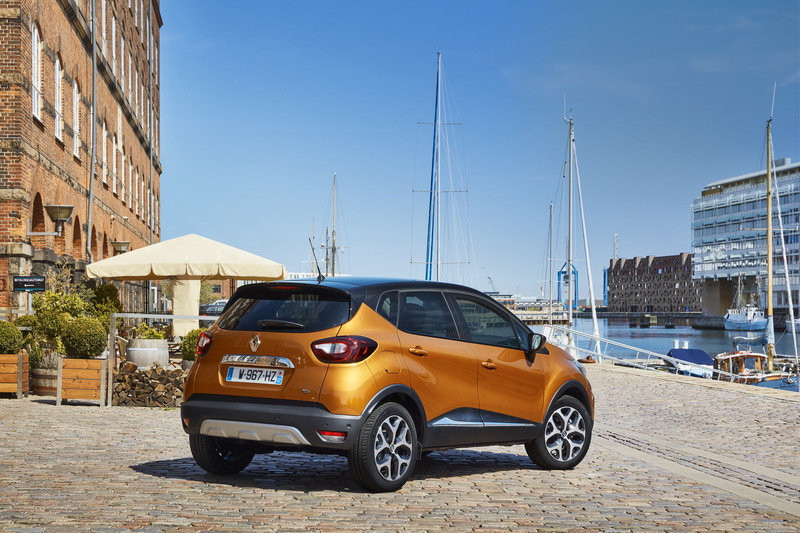 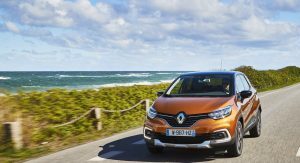 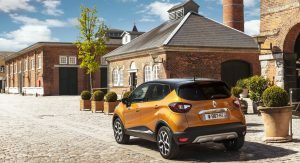 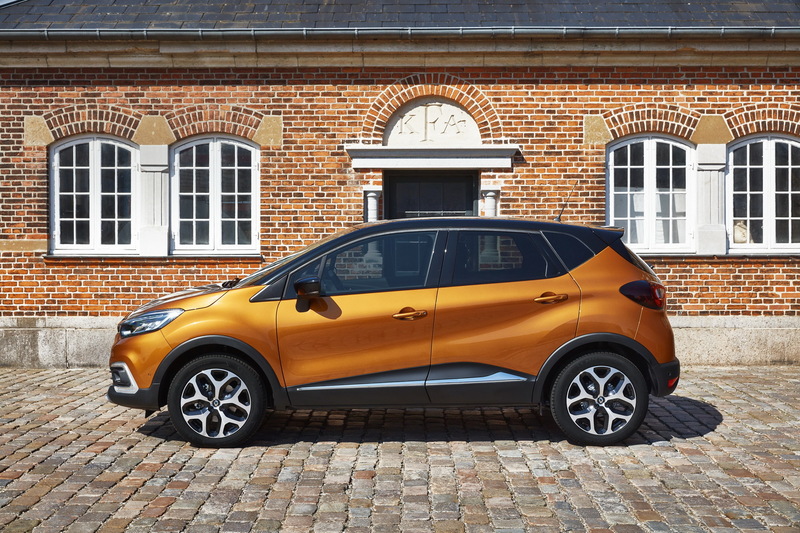 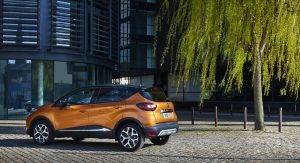 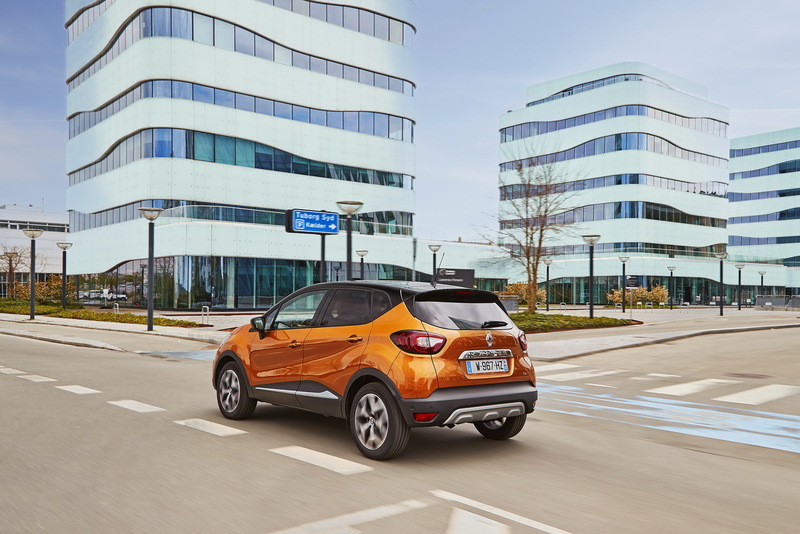 Renault’s best-selling Captur recently received a mild facelift, with the company releasing a fresh new gallery detailing its new SUV. 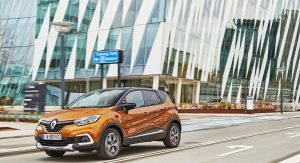 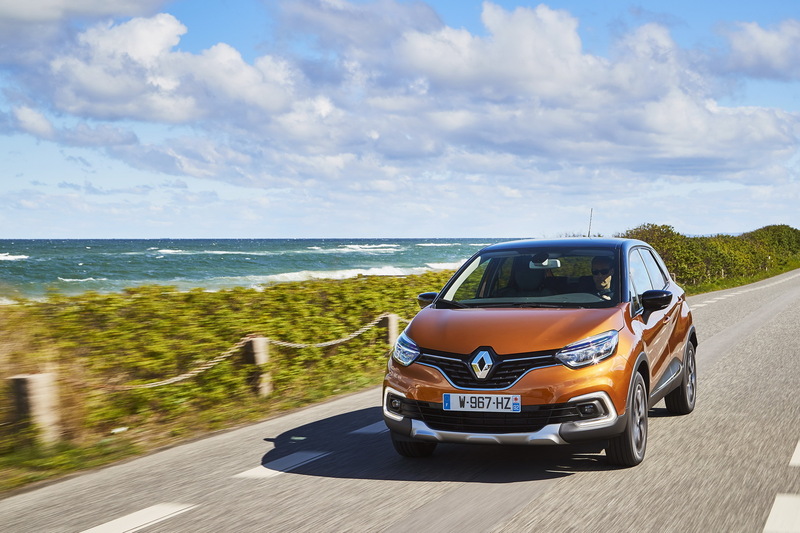 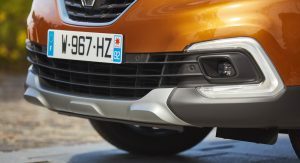 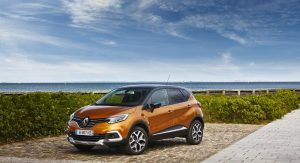 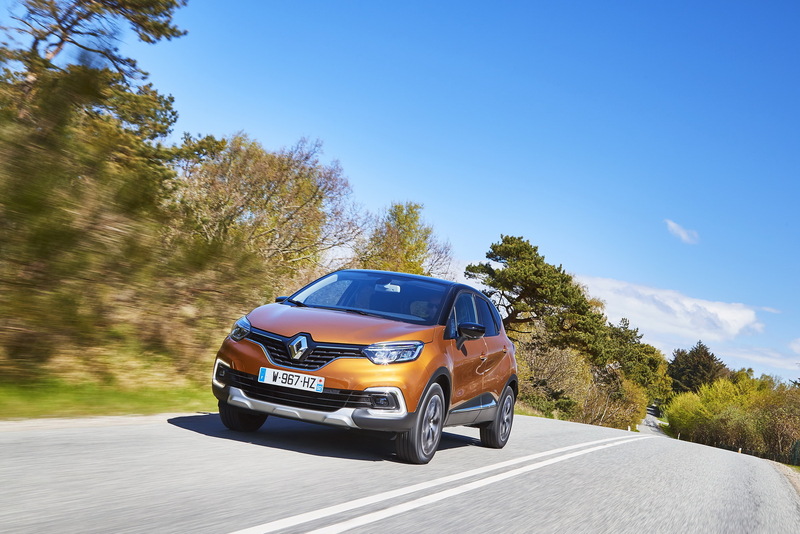 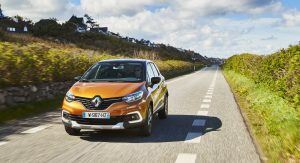 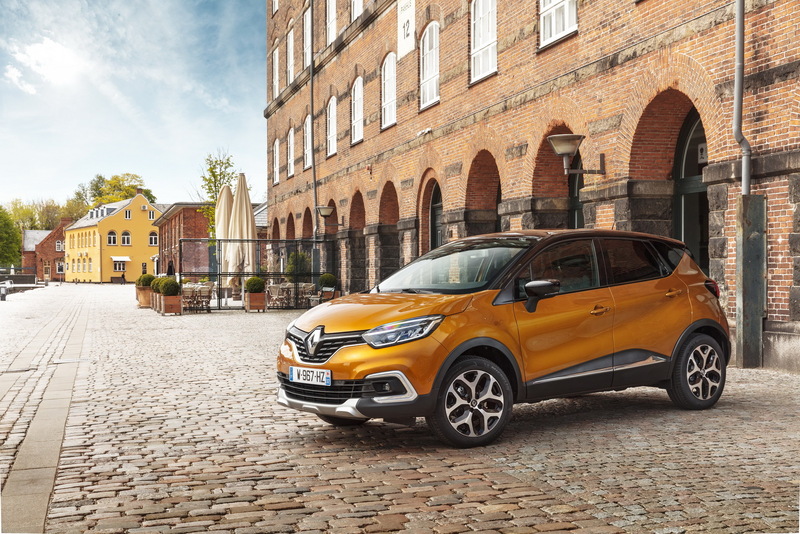 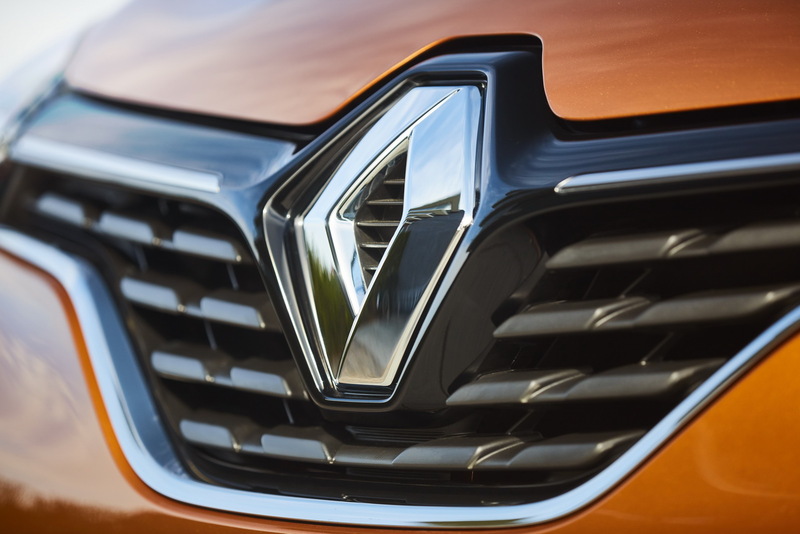 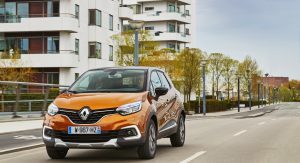 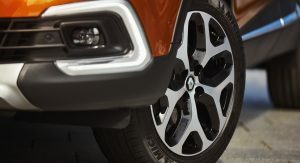 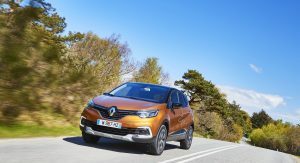 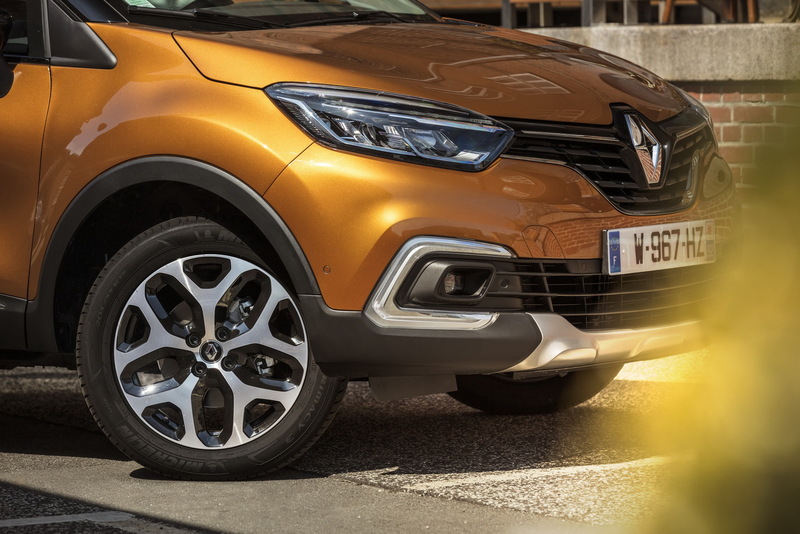 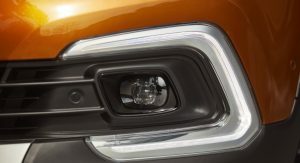 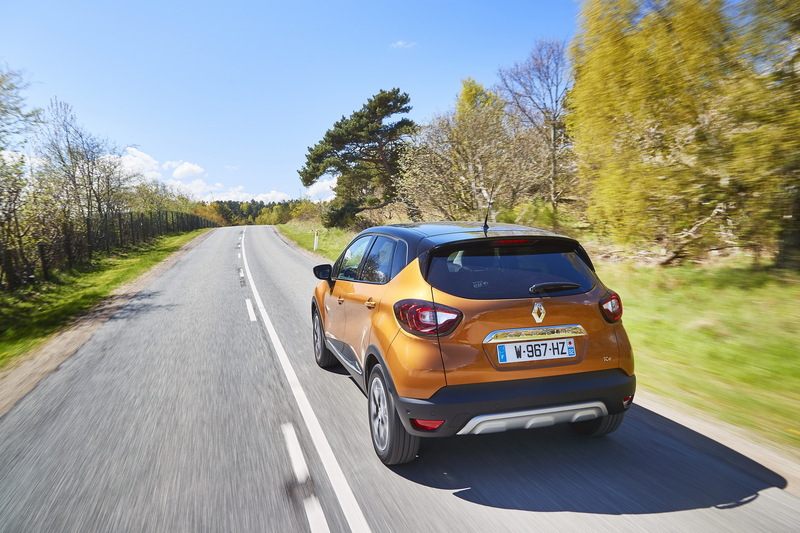 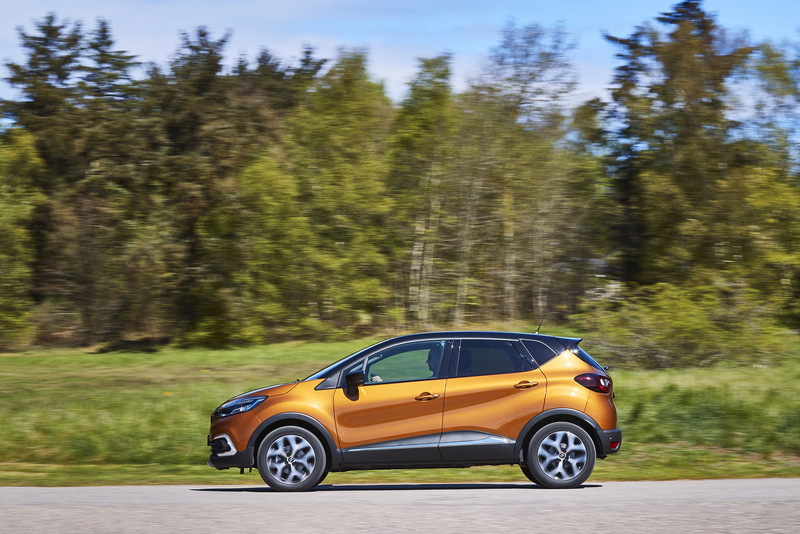 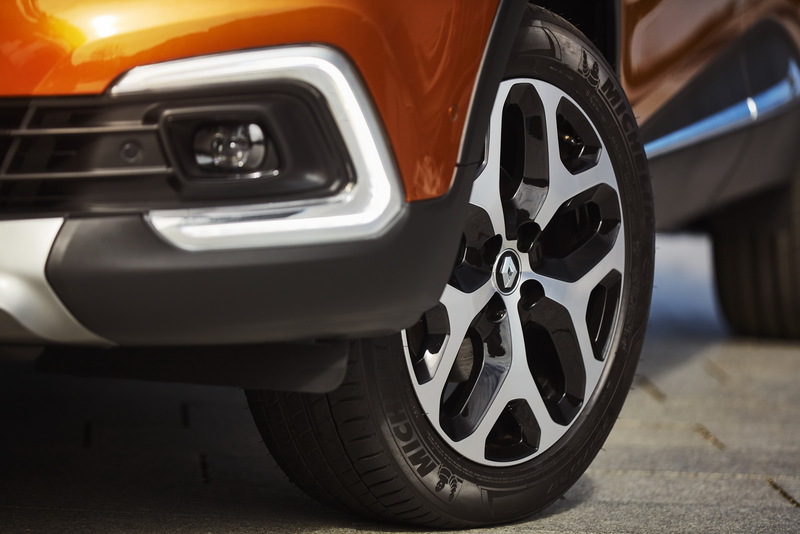 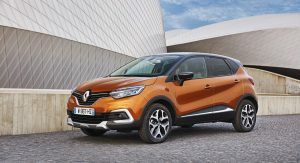 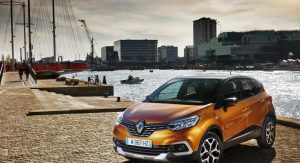 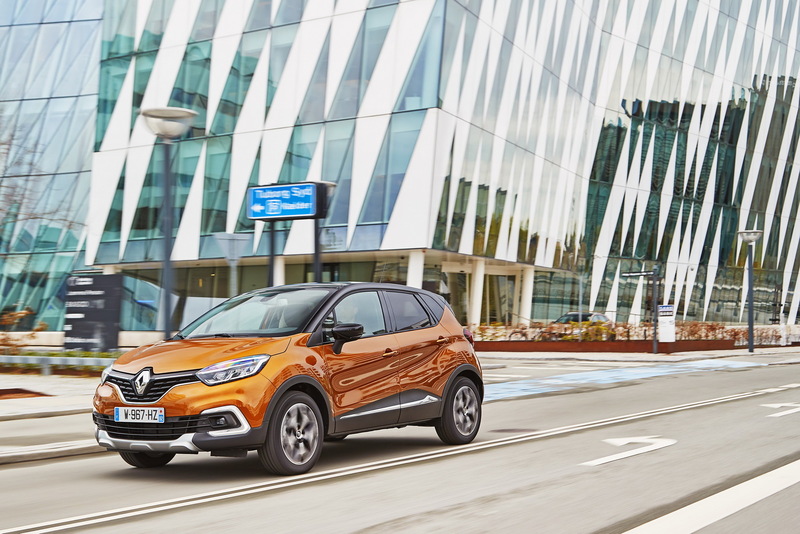 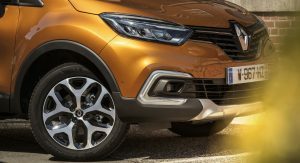 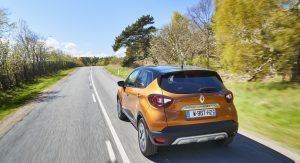 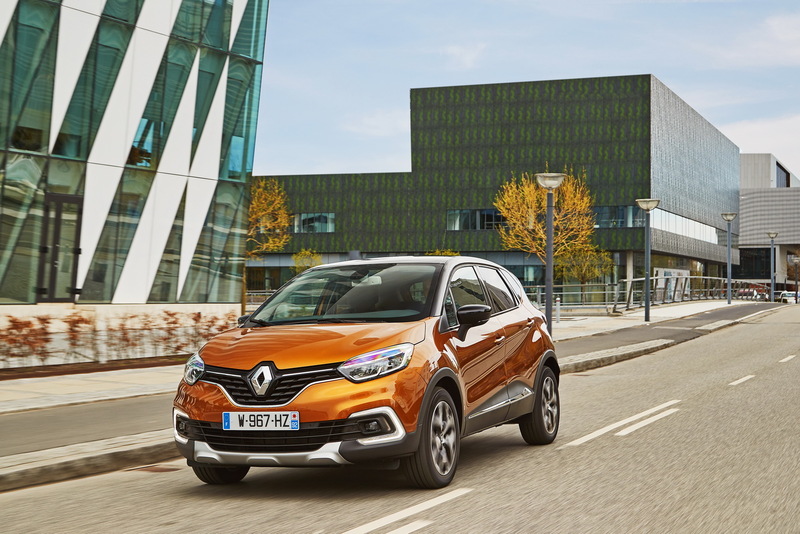 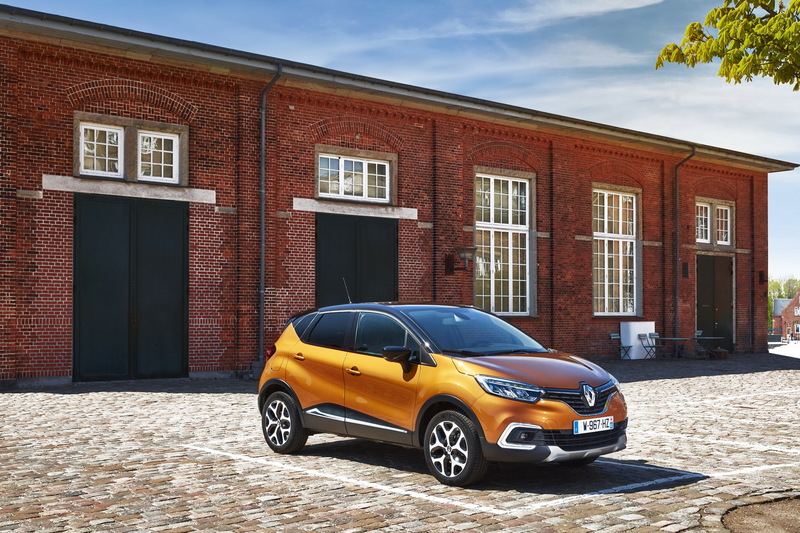 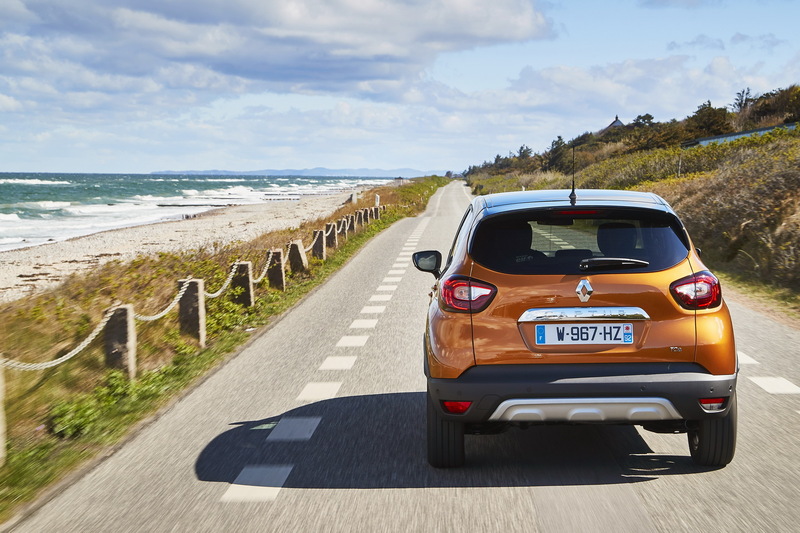 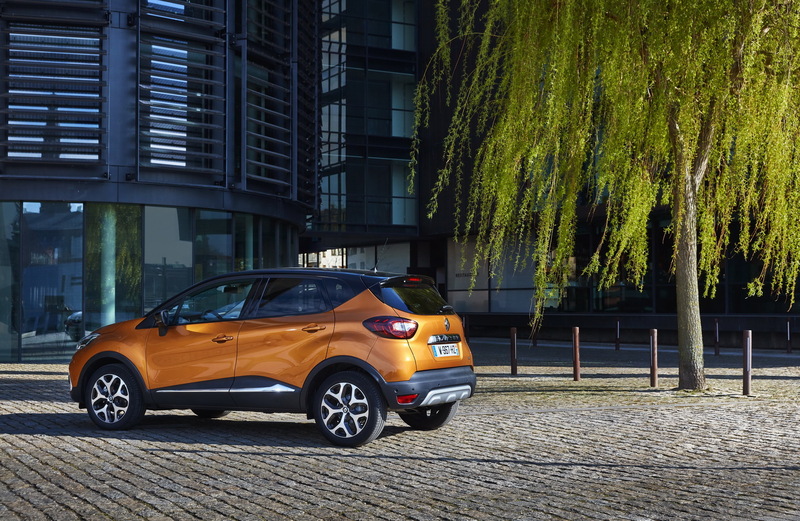 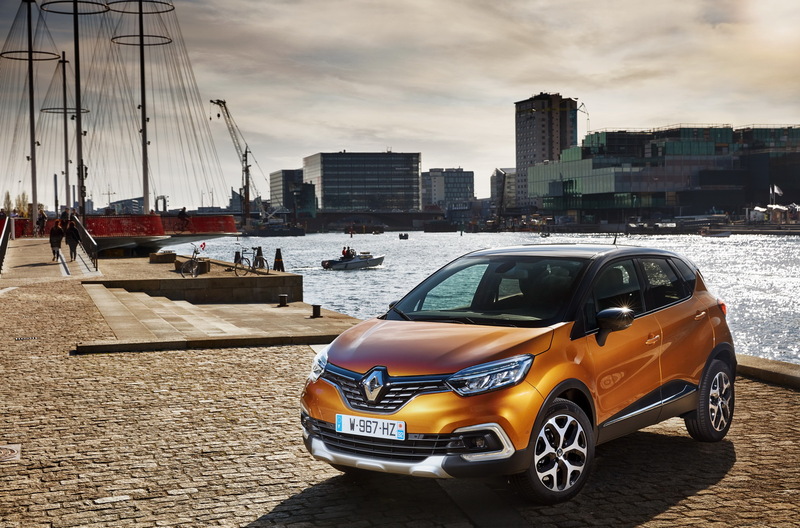 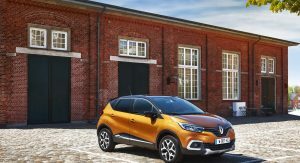 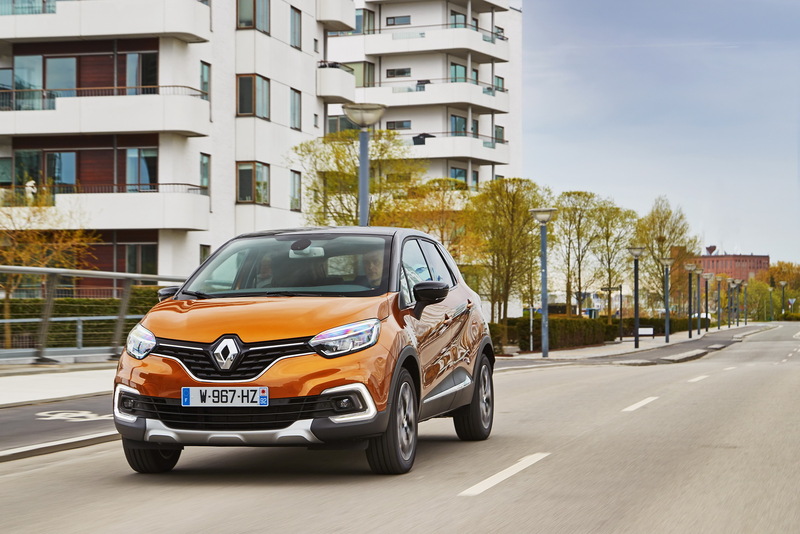 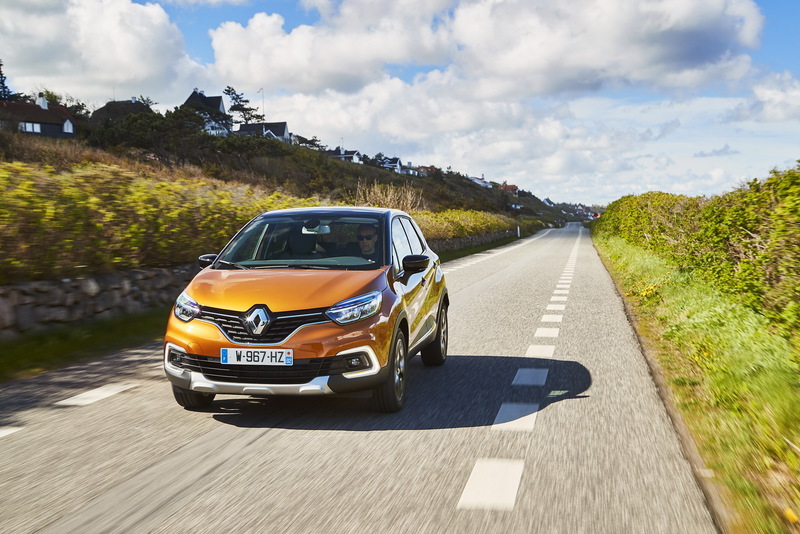 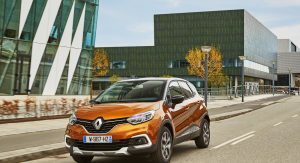 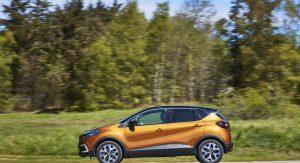 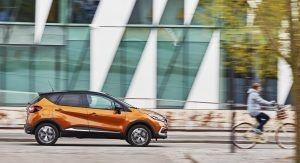 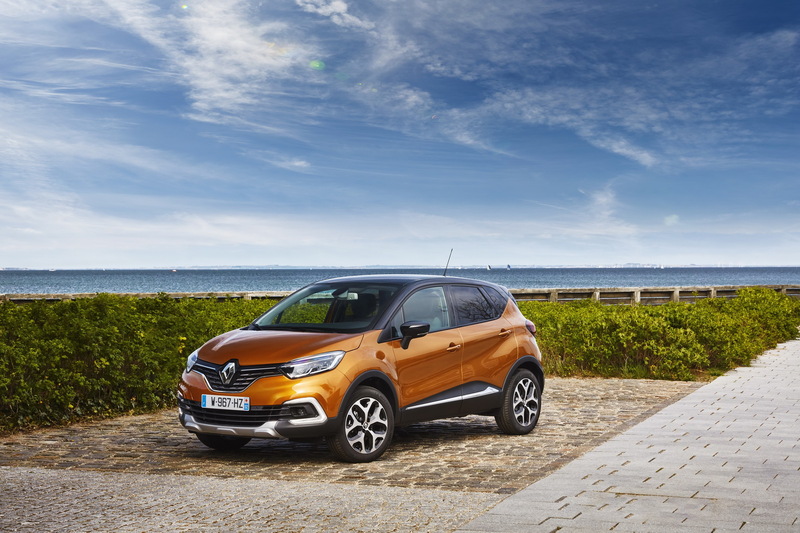 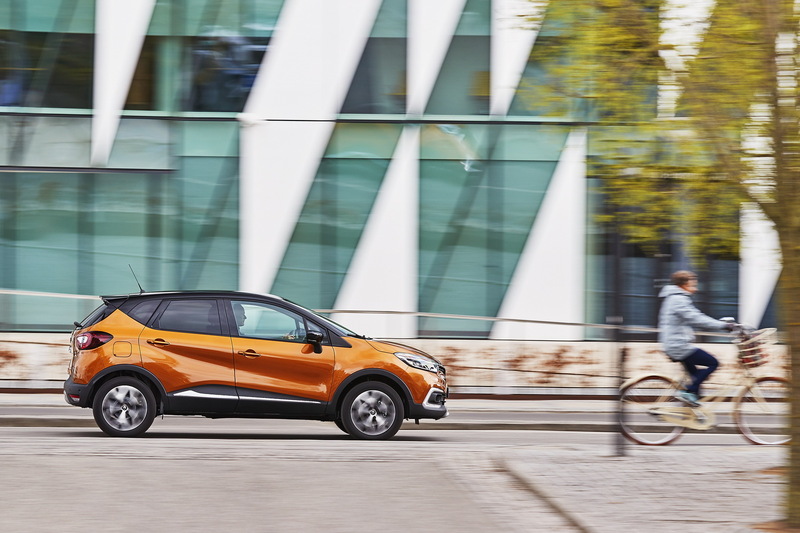 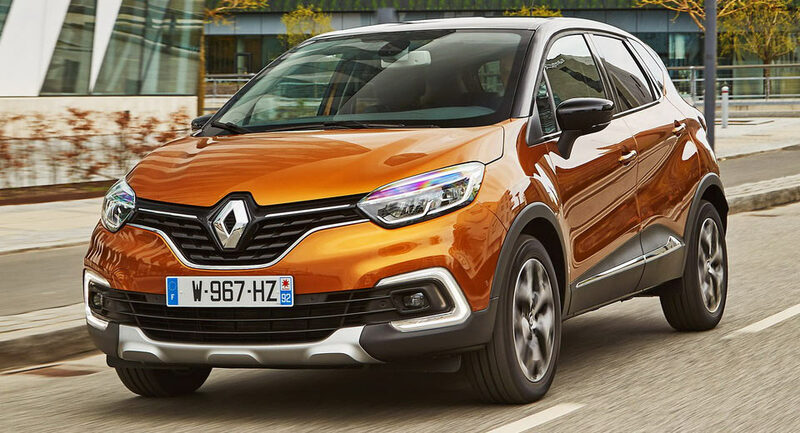 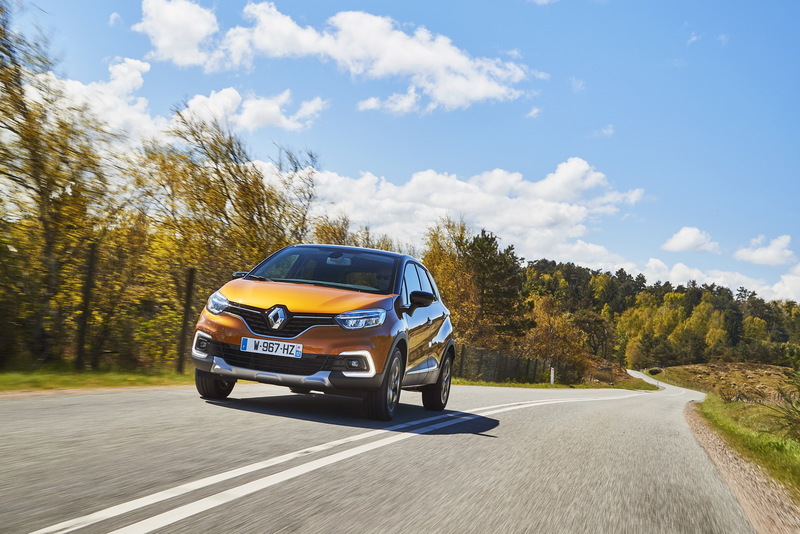 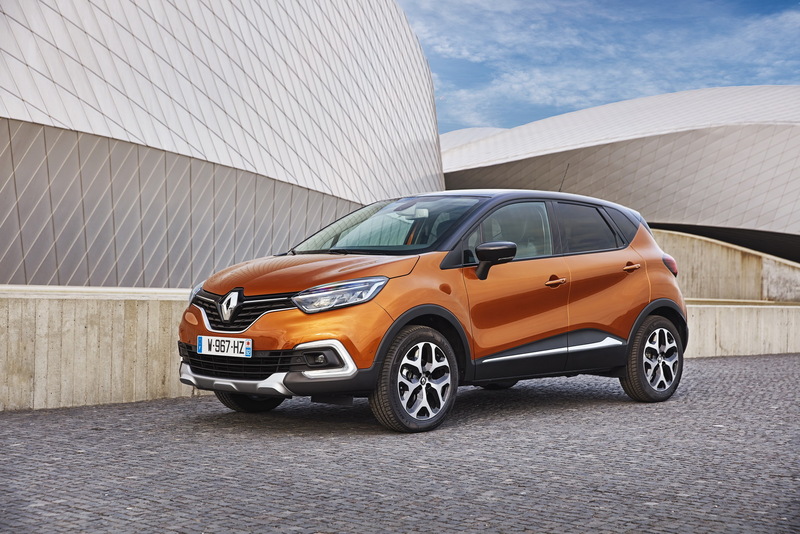 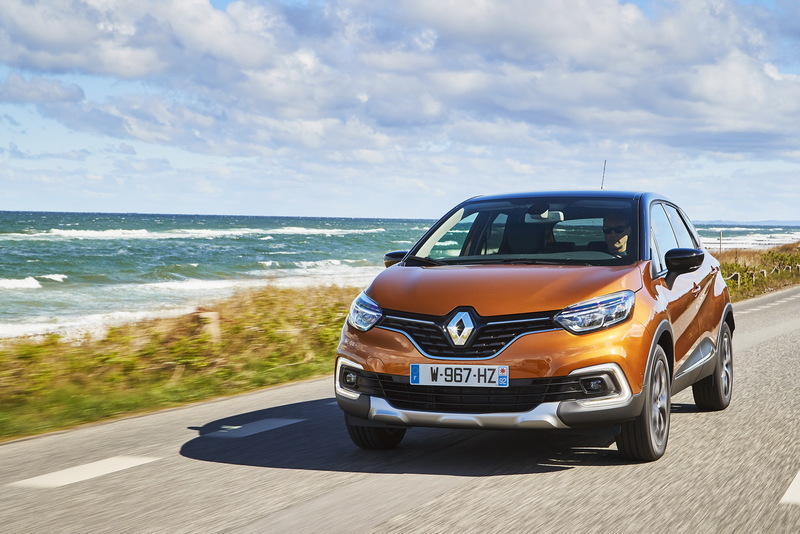 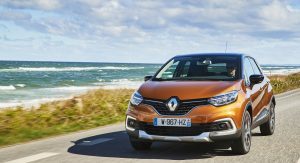 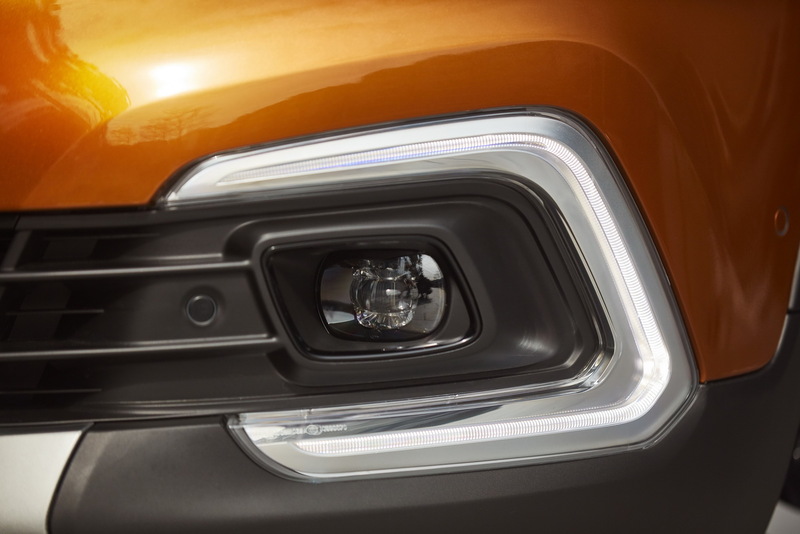 The subtle styling revisions were aiming to bring the Captur in line with Renault’s newer SUVs in the range and include new full-LED headlights, new front grille, redesigned bumpers and fresh C-shaped LED daytime running lights, among other revisions. 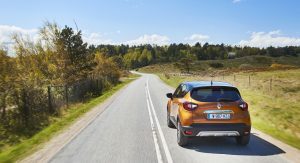 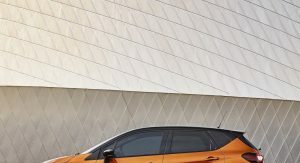 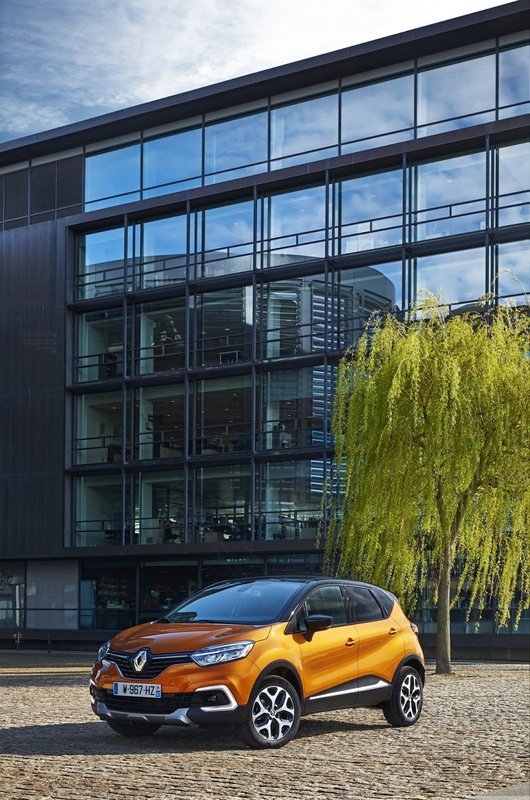 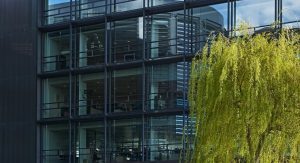 Renault has also added three new colors to the available palette: Atacama Orange, Ocean Blue and Amethyste Black, with the latter being exclusive to the Initiale Paris version. 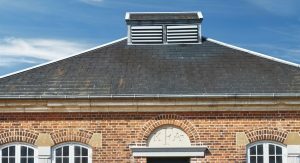 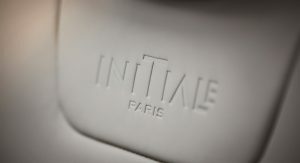 A new Platine Grey option was also added for the roof, creating more than 30 different combinations for customers to choose from. 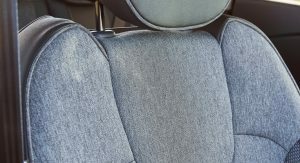 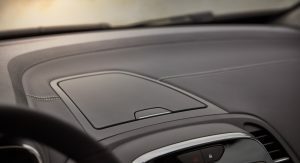 A fixed glass roof is also part of the update and is offered as an option with two-tone cars, allowing an even brighter cabin. 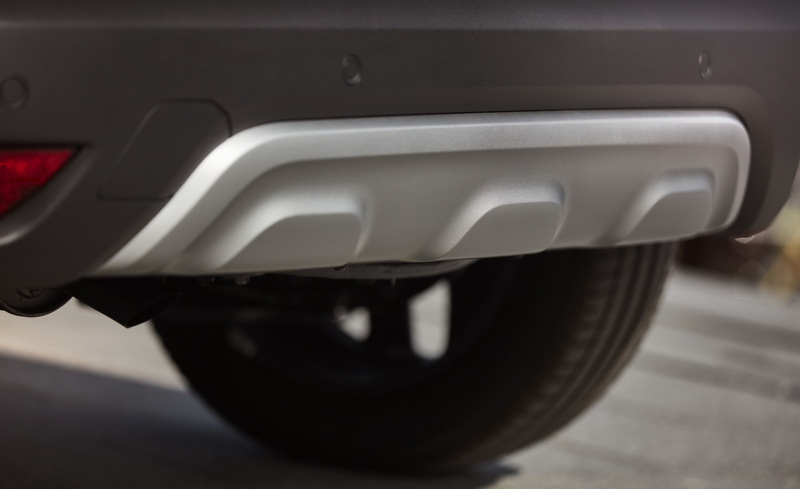 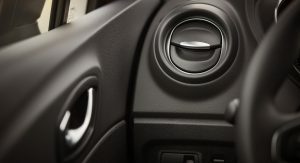 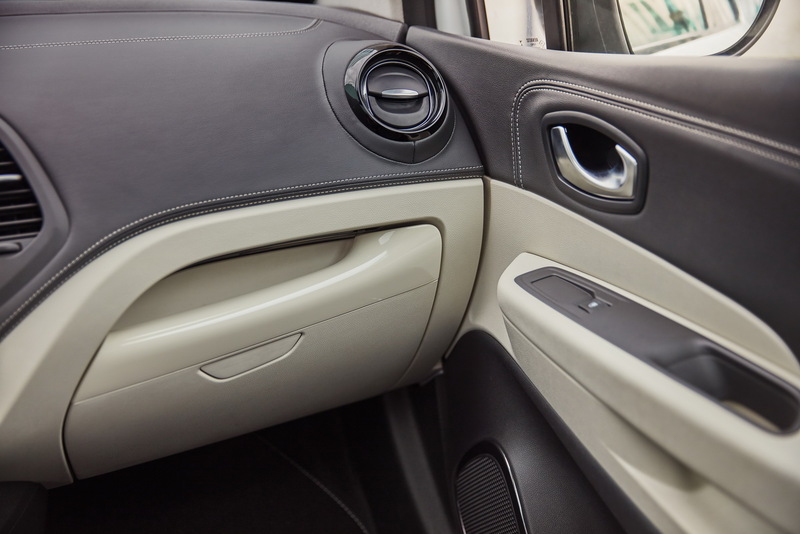 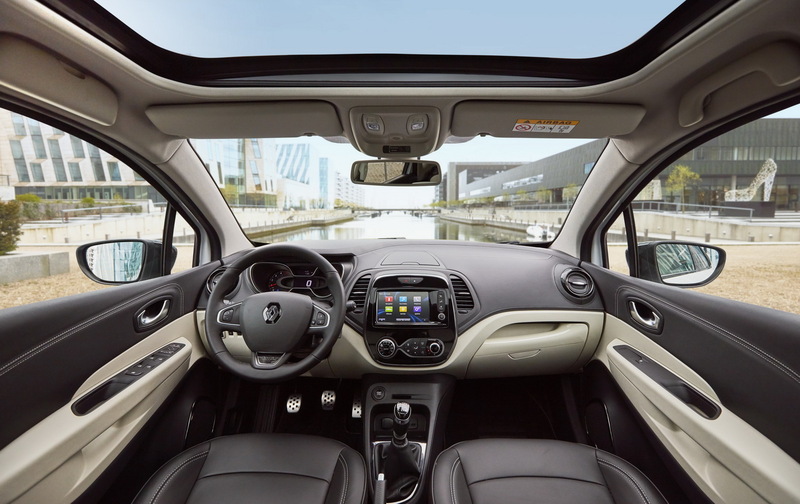 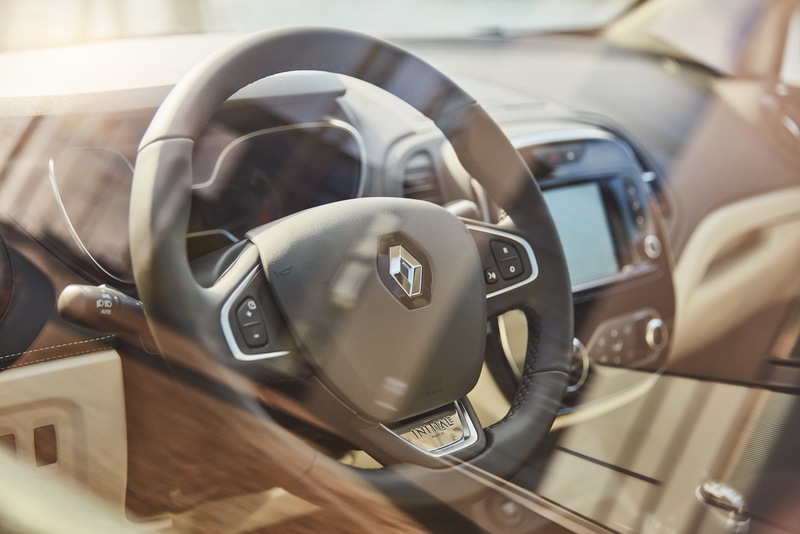 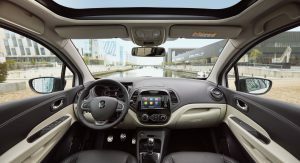 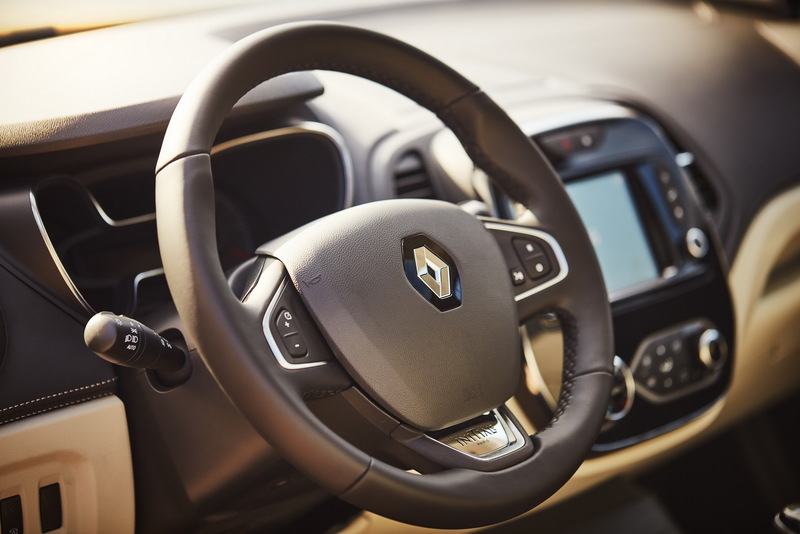 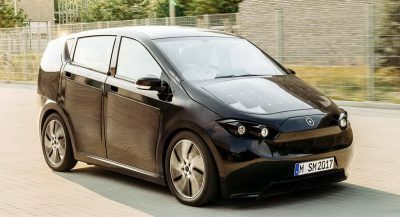 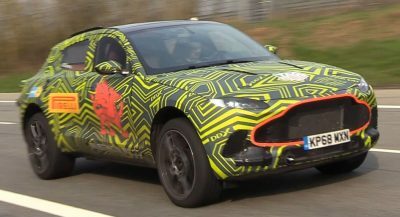 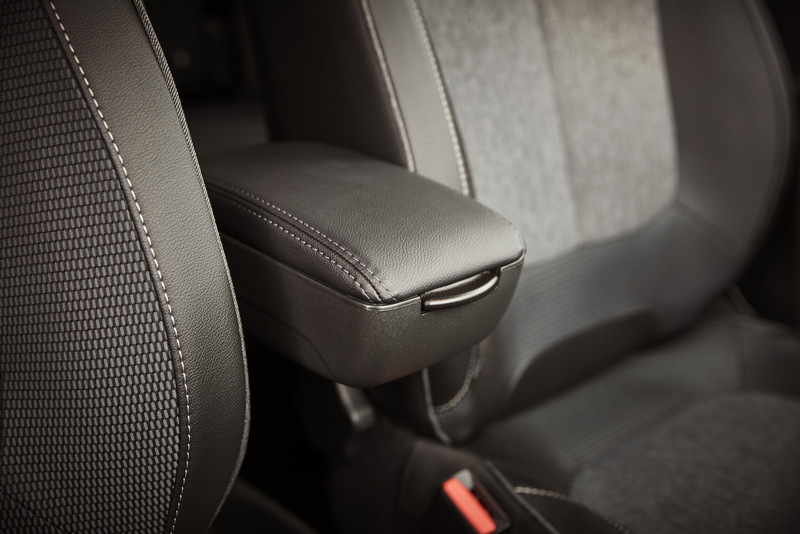 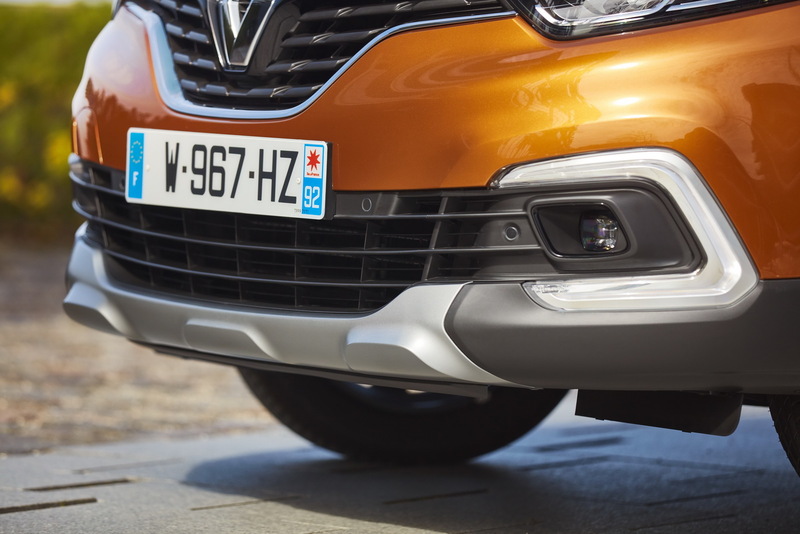 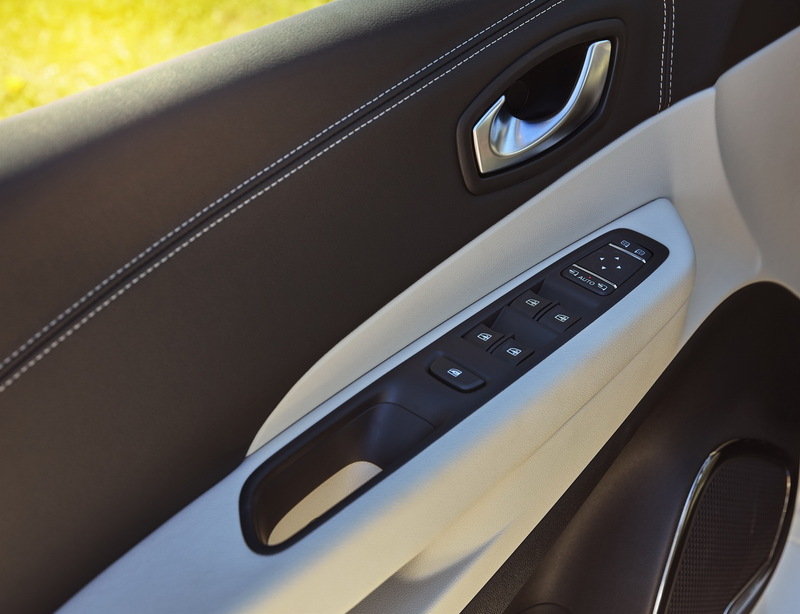 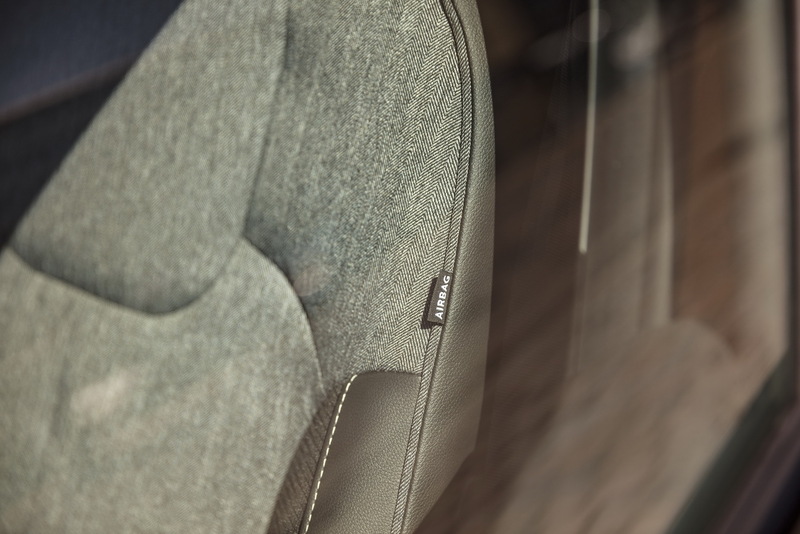 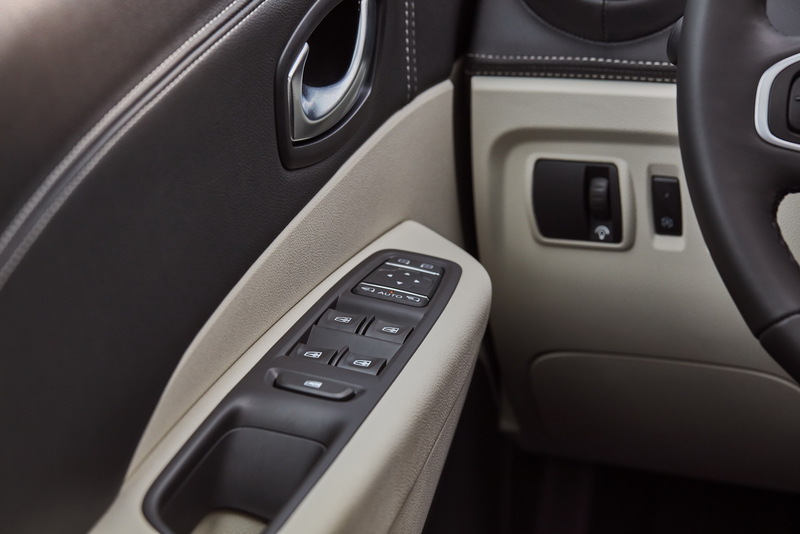 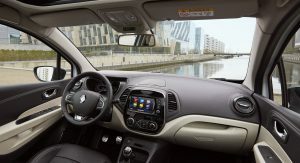 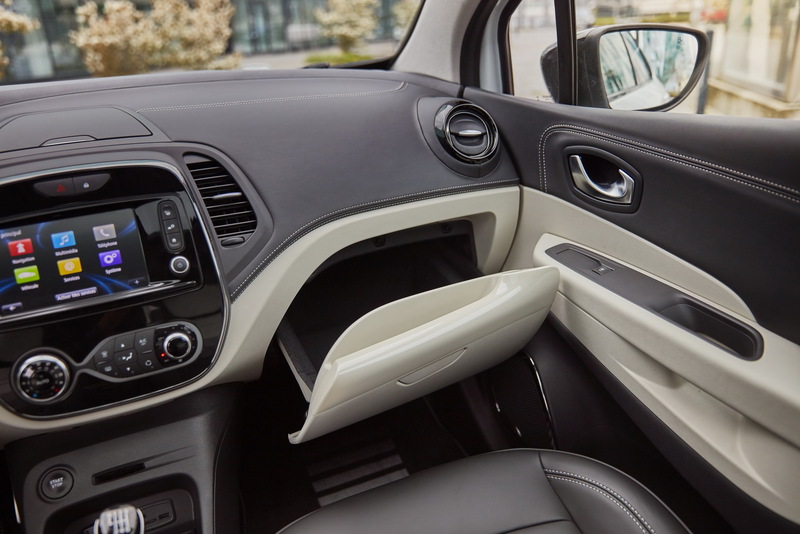 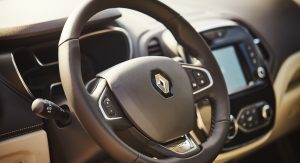 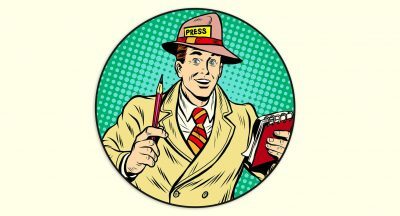 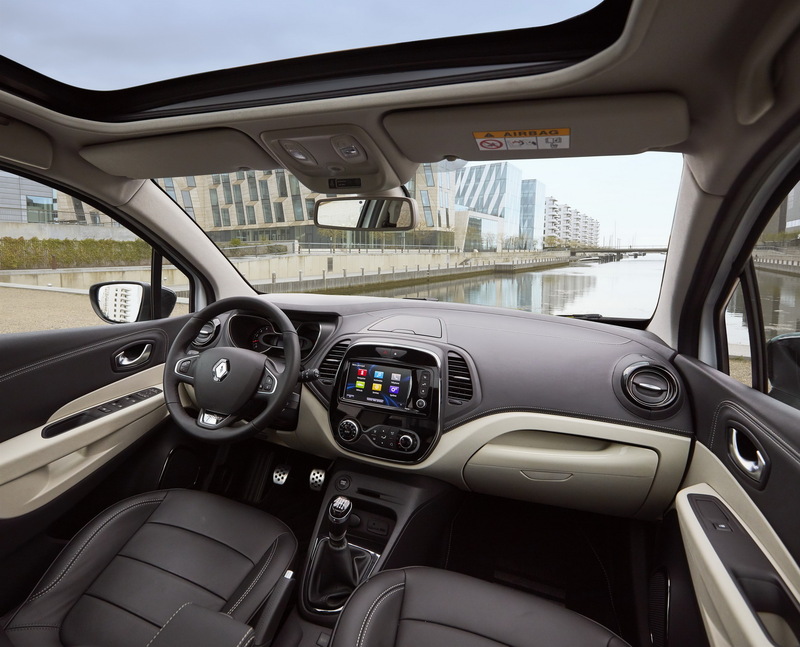 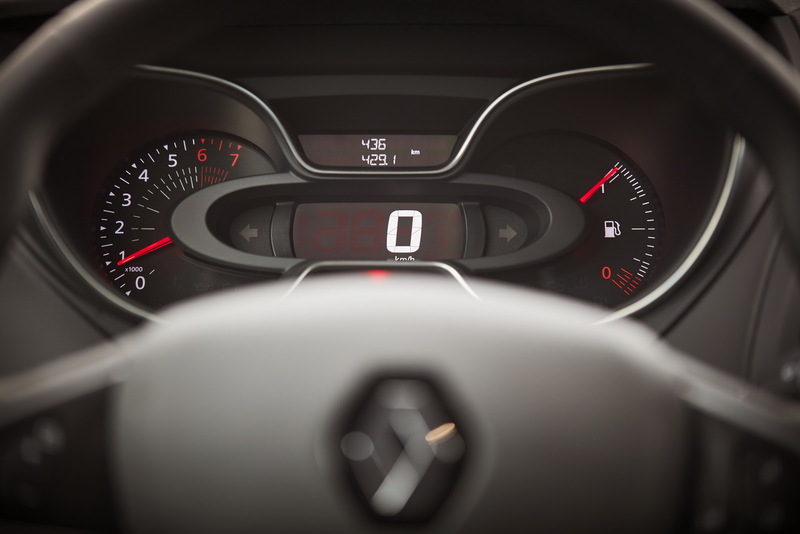 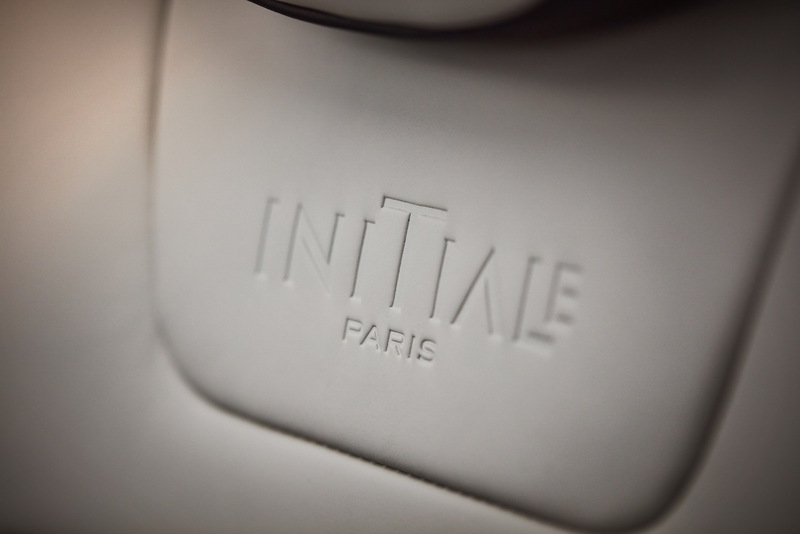 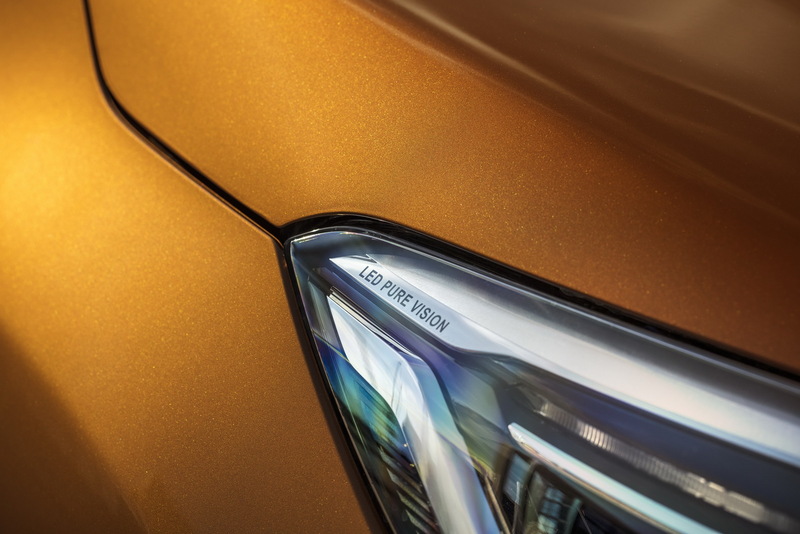 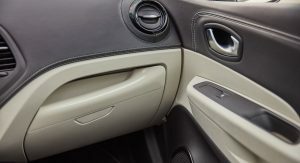 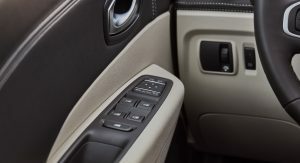 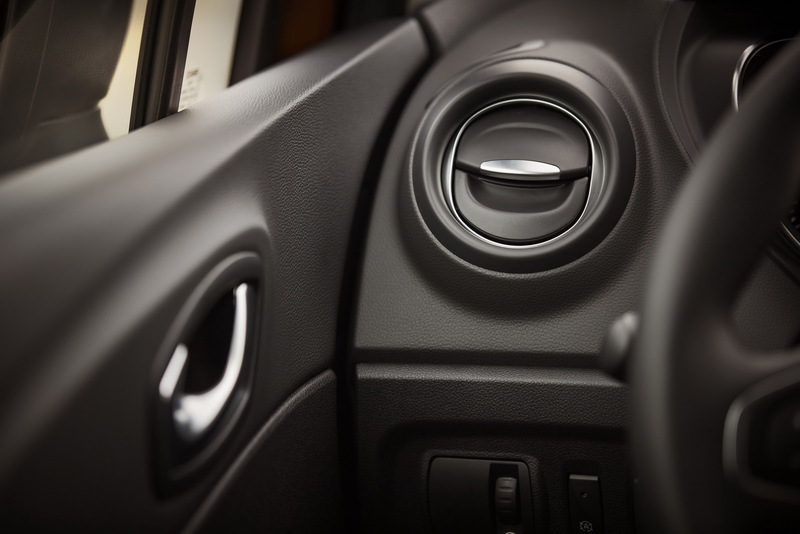 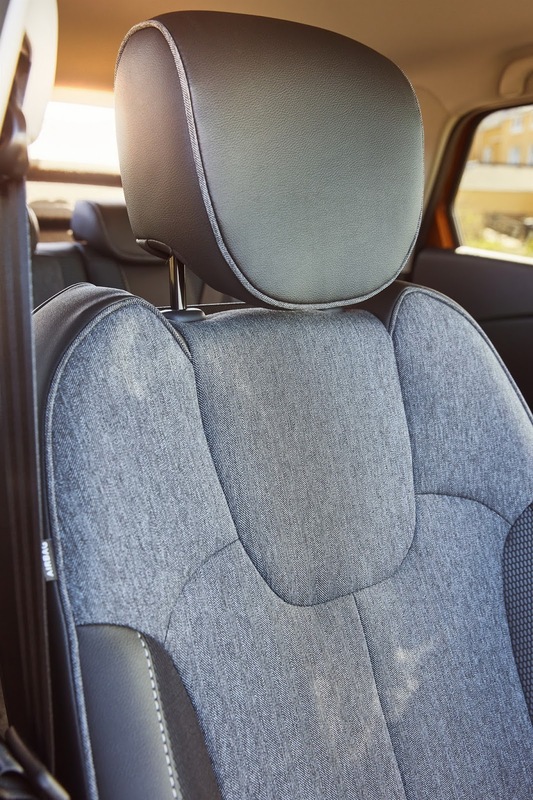 Speaking of which, Renault was keen to update the perceived quality of the materials used inside, replacing injection-moulded plastics with trimmed materials, revised door panels, an LED ceiling light and an overall upgraded fit and finish of the interior. 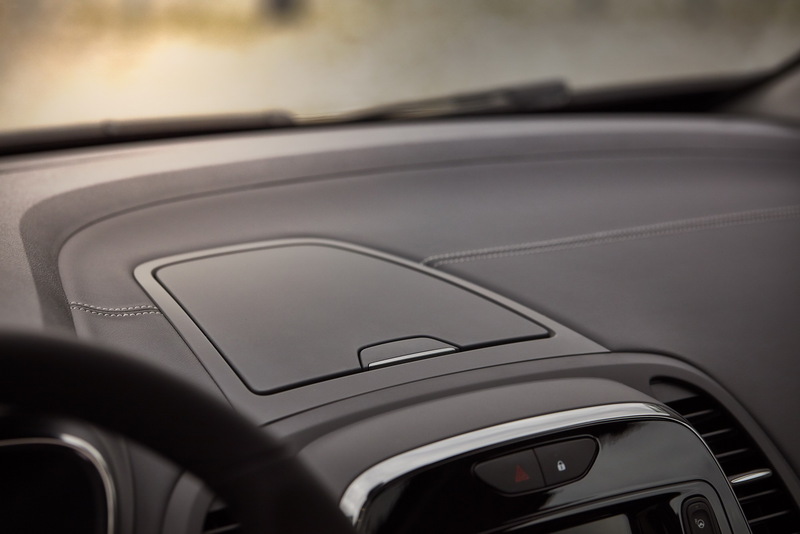 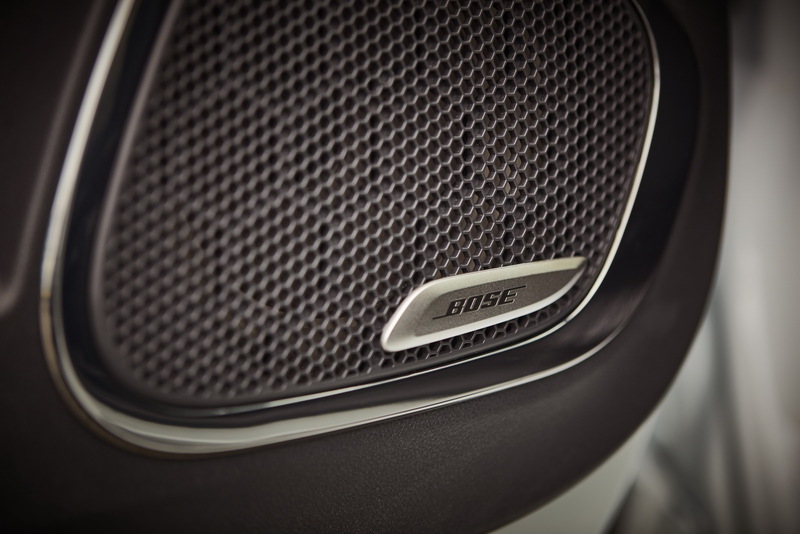 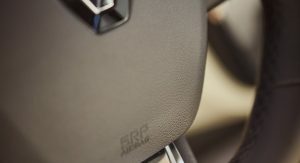 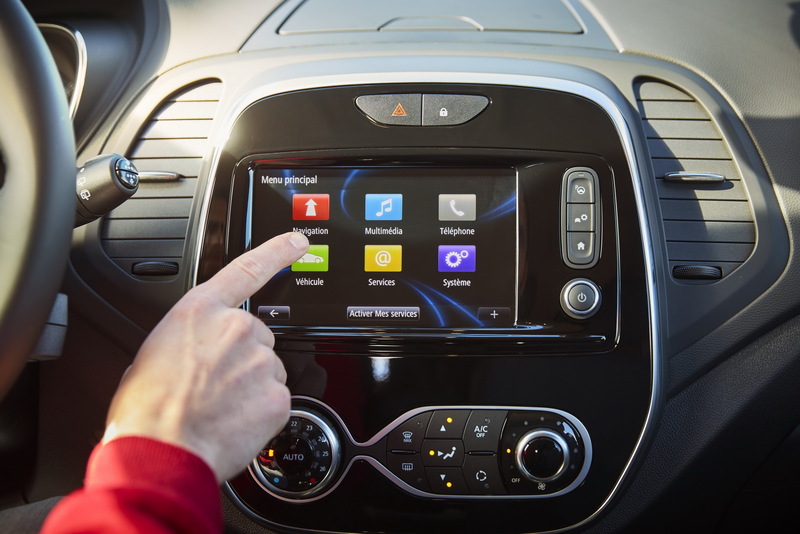 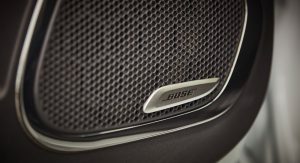 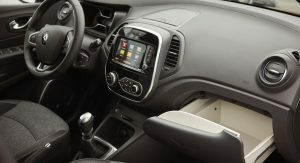 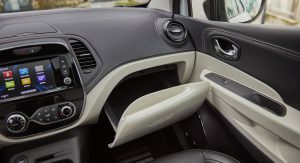 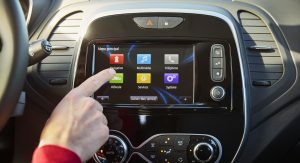 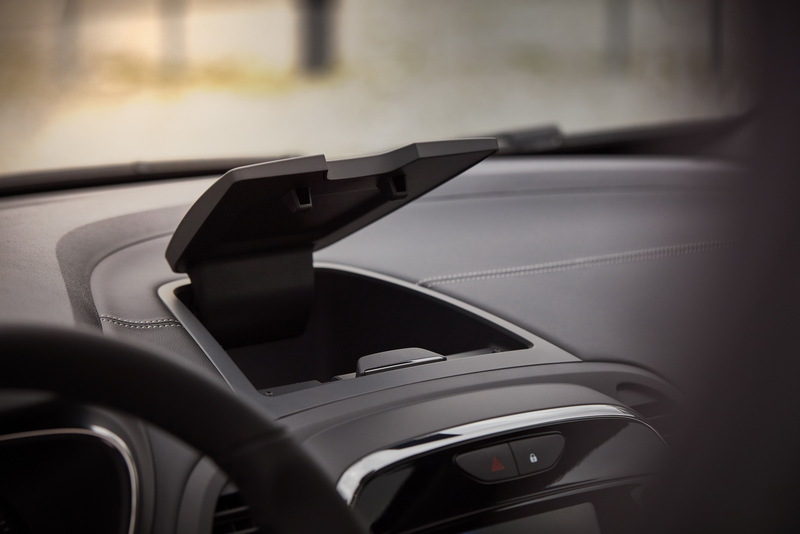 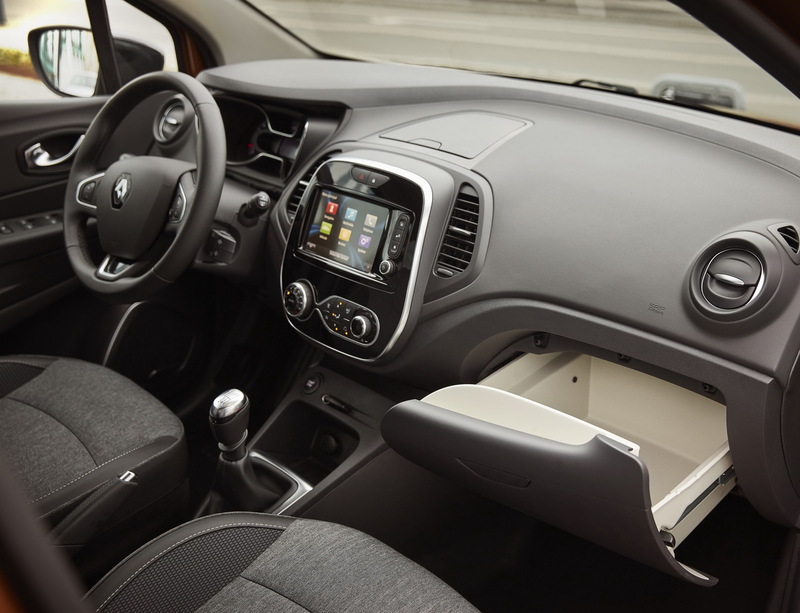 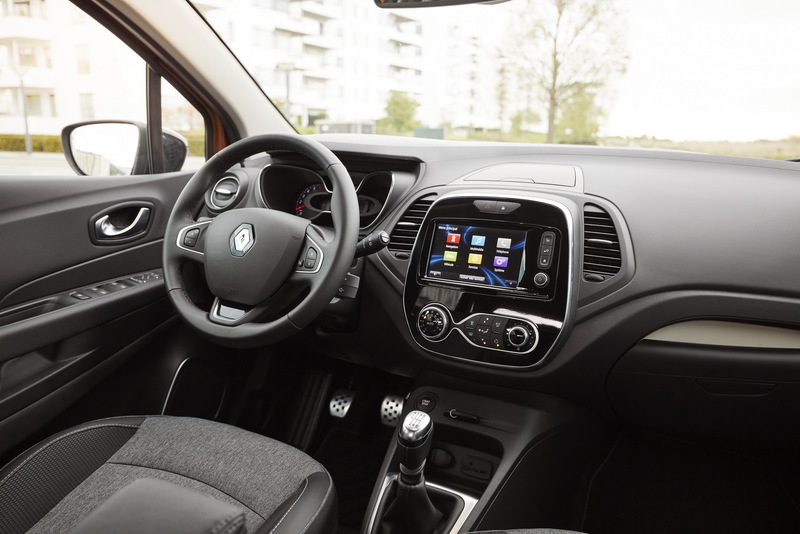 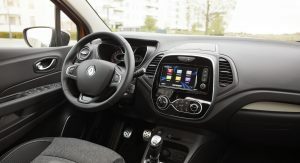 Customers will have to choose between three infotainment options, with the range-topping R-Link Evolution system offering a seven-inch touchscreen display, real-time traffic updates, 3G connectivity, standard Android Auto and more. 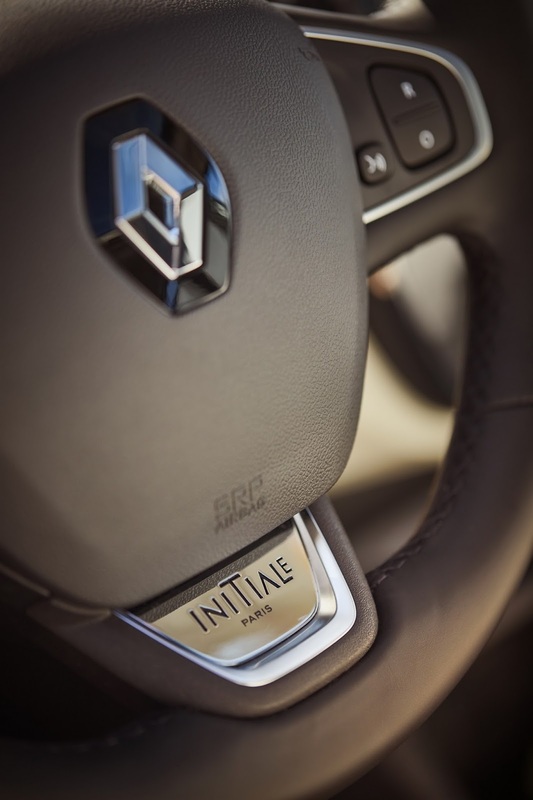 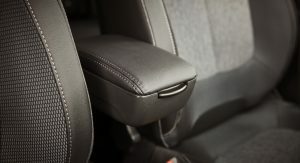 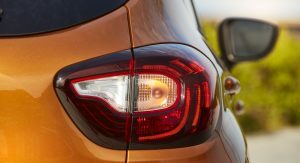 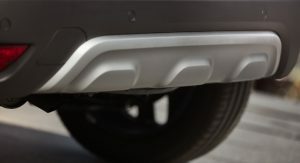 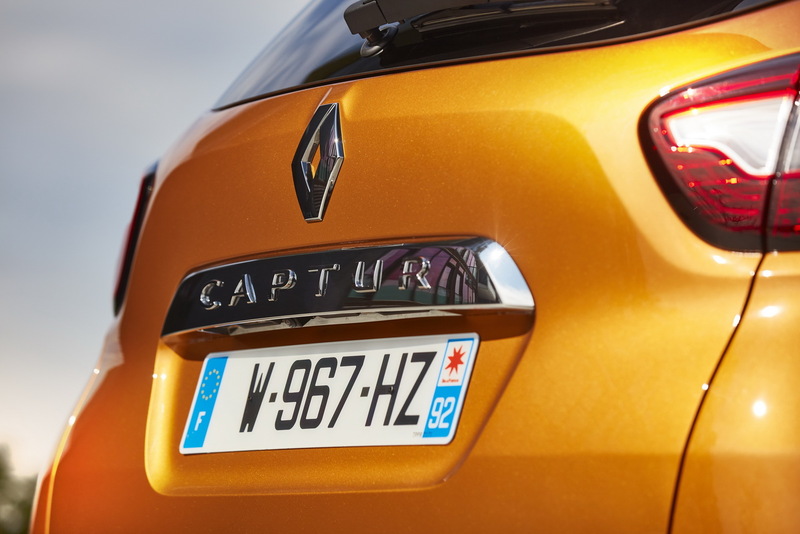 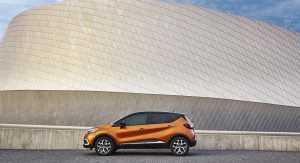 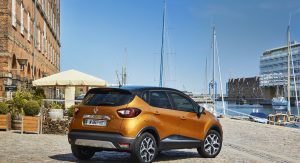 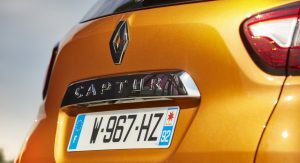 Renault has also added an Initiale Paris trim level, portraying the Captur’s aim to move into a more premium territory. 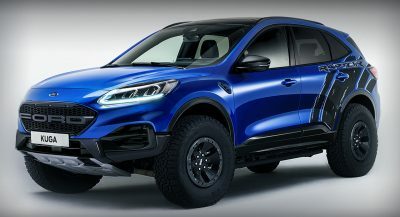 This version will be available with a bespoke chrome grille, metallic grey front and rear skid plates, sequential LED indicators and a specific range of exterior colors, including the aforementioned Amethyste Black, as well as special 17-inch alloy wheels. 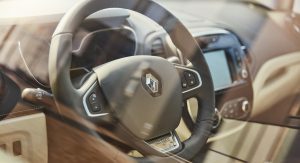 The interior for this version will come dressed in Nappa leather, including the steering wheel and dashboard, and all the in-car technologies that are available as options to the rest of the range. 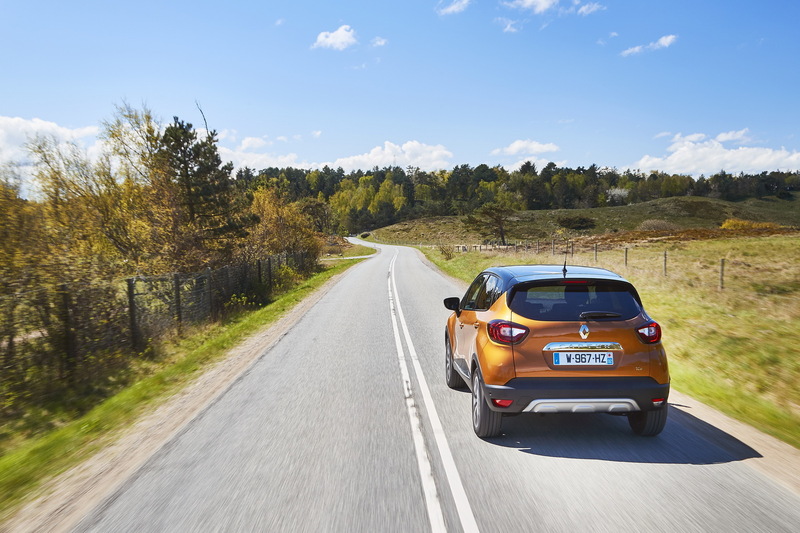 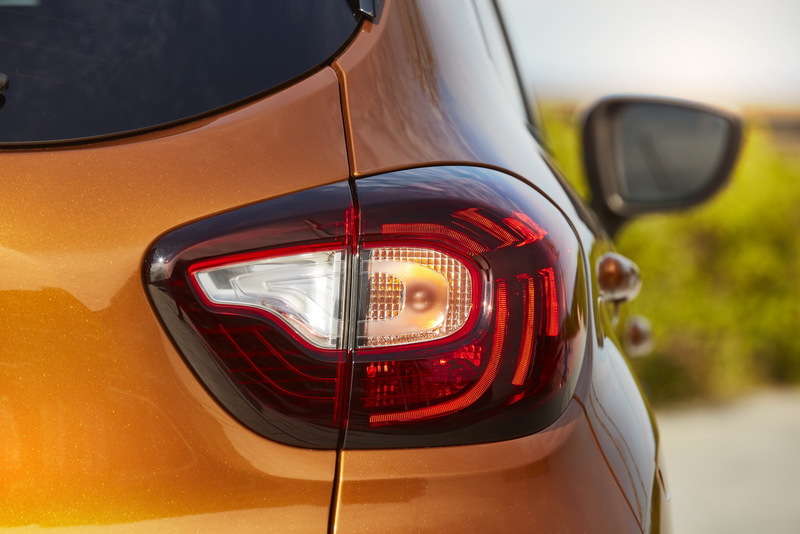 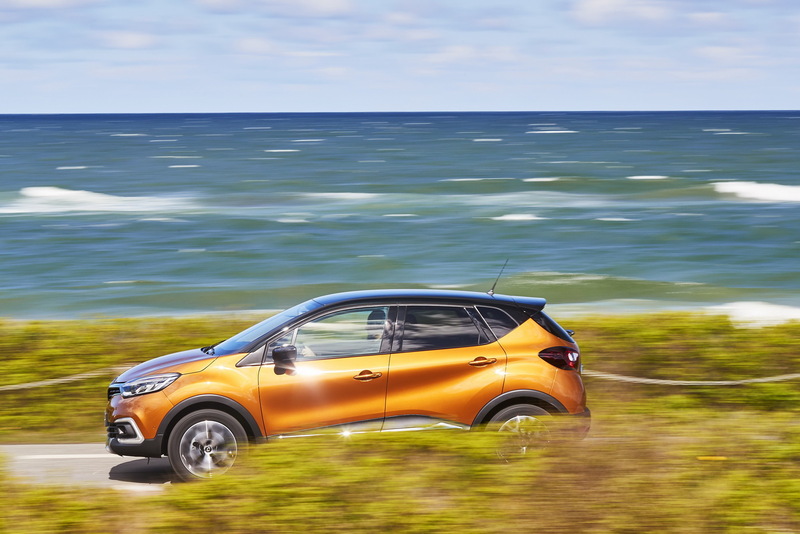 The new Renault Captur will be offered with four engine options, both petrol and diesel. 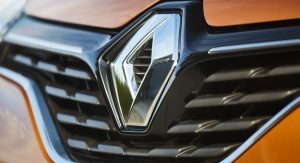 The two diesel options include the dCi 90 and dCi 110, both of them coming with Start & Stop as standard, and the latter providing 110hp and 260Nm of peak torque at 1,750rpm. 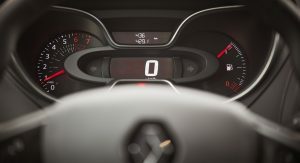 The petrol range is comprised by the TCe 90 and the TCe 120, which comes either with a manual or a dual-clutch automatic transmission. 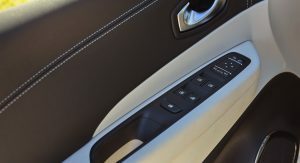 love the glove “drawer”. 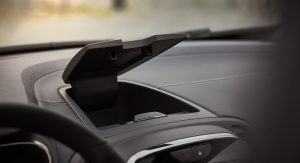 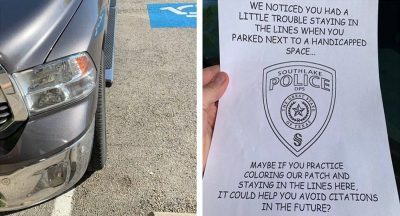 So much smarter than the “everything falls out” glove box on my 2013 ford focus. 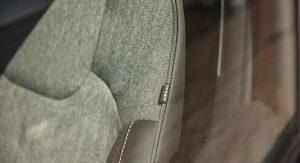 Very nice, no wonder it’s a bestseller.